Fope Flex'It Vendome 18ct Yellow Gold Diamond Ring. AN561 BBR. The Italian family owned company of Fope started out as a traditional workshop in 1929 and has now evolved into one of the most recognisable and desired luxury jewellery brands in the world. Each elegant and finely crafted piece is designed and created within their workshops in Vicenza where they combine rare material with modern techniques to create a range of unique and exclusive jewellery. This is jewellery that makes you feel proud to have discovered the European sophistication that is Fope, and you get to take the Italian luxury home with you. This Fope ring is part of the Vendome collection which features the world renowned Fope Flex'It design. The finely crafted 18ct yellow gold textured band is embellished with stunning 0.08ct brilliant cut diamonds for a touch of luxury and sparkle. Fope jewellery looks stunning when layered with other pieces from the collection. Mix Yellow, White and Rose Gold pieces for that on trend look. You can also find matching items within the Fope collections on our website. 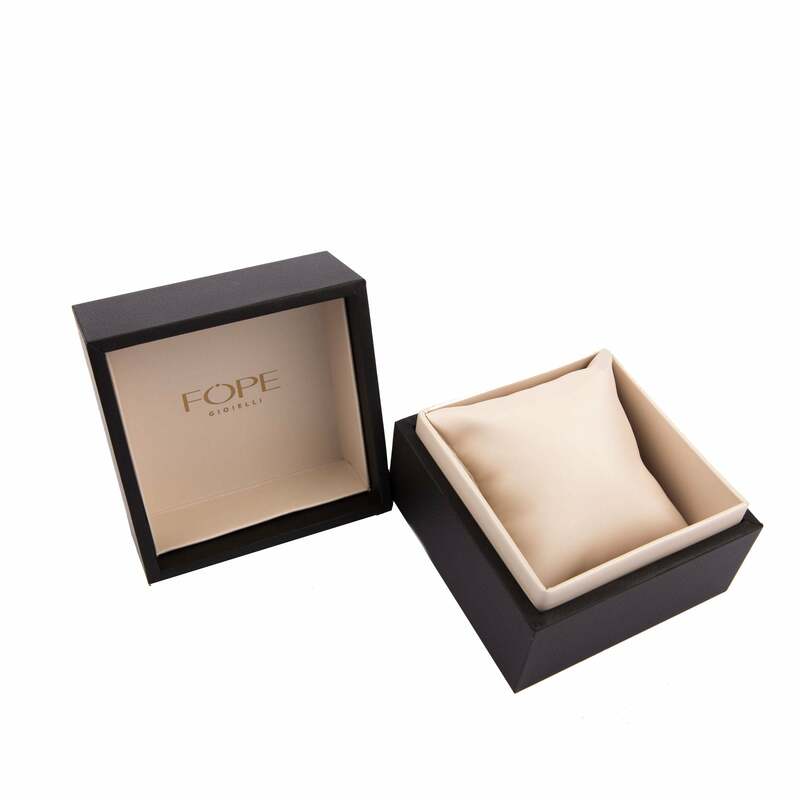 All FOPE articles purchased from CW Sellors are lovingly and securely dispatched in elegant FOPE jewellery packaging, complete with certificate of authenticity. AT C W SELLORS, WE OFFER 0% INTEREST FREE FINANCE ON ALL OUR FOPE PRODUCTS.